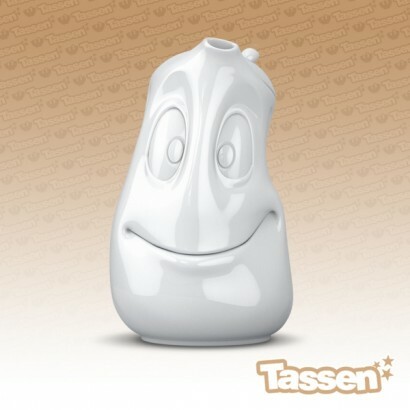 Serve up a warming brew with a smile from this charming Tassen teapot. Made from durable white polished porcelain, this large contemporary teapot features a large happy face that's guaranteed to make you smile! Designed to compliment the Tassen emotion breakfast set range, this charming teapot holds a whopping 1.6L of tea so that's you're guaranteed to be up and at 'em every morning.